If you are looking for information on the Spectrum Home Services franchise business opportunity, Spectrum Home Service franchises or Spectrum Home Services franchising, then you have come to the right place. 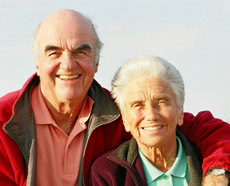 Spectrum Home Services is the most unique senior care company in the industry. Our business is about caring, but it is also about providing the necessary services seniors need to stay in their home. No other non-medical in home care franchise can come close to the full spectrum of services we provide. Other companies provide only companionship, meal preparation and very limited, if any, home services. Unfortunately, if the client cannot maintain a clean and safe home all of the companionship services in the world will not prevent them from nursing home placement. By providing a complete package of non-medical senior and home care services Spectrum Home Services has filled a niche historically ignored by non-medical home care, home health agencies and larger health-care institutions. This lack of attention and slow reaction to a changing business climate gives Spectrum Home Services an edge in the senior care market that is expanding rapidly as baby boomers near retirement. Spectrum Home Services is also the only senior care franchise to provide the necessary home services active seniors need to enjoy their golden years. Active seniors will not be utilizing companionship or personal care services but instead will be purchasing services which will free them up from mundane household and everyday chores. Active seniors also demand a higher quality of service and expect greater convenience and a wider list of service options. As a Spectrum Home Services franchisee you will be able to meet these needs and expectations while the competition will not! Spectrum Home Services is unique in the senior care business with its concept of "one call resolves it all" customer service. Spectrum Home Services is a fast growing company on the cusp of a national trend. We are offering qualified individuals the opportunity to own their own business while doing something they can feel good about. We invite you to learn more about our unique franchise opportunity and how you can make a difference in the lives of seniors by offering the services they really need to stay in their homes.